Superb HD pictures, but can this LCD deliver with standard-def? Samsung squares up to its fellow Korean and longtime nemesis, LG, with a similarly handsome set and just a tenner between it and the LG 26LC55. 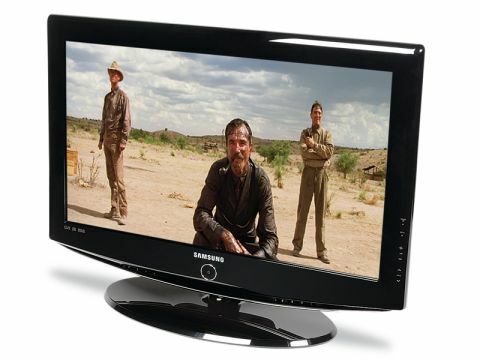 The Samsung LE26R87BDX is a comprehensively connected set with no fewer than three stereo inputs and an optical output for amplifying Freeview broadcasts. It also boasts Samsung's successful DNIe image engine and just about makes decent use of it. The set is fine with DVD and HD material, putting in a punchy, vibrant performance with plenty of detail. The big stumbling block is Freeview, which looks pretty atrocious, with conspicuous ghosting and motion blurring, and does some serious damage to its credentials as an everyday, family TV.